Polyphony Digital has announced the December update to Gran Turismo Sport. It includes a bunch of classics, like the Bandit Trans-Am and split-window 1963 Corvette, but JNCers are probably most concerned with Sung Kang’s Fugu Z. Actually, though, there’s an even greater addition, and it’s not even a car. 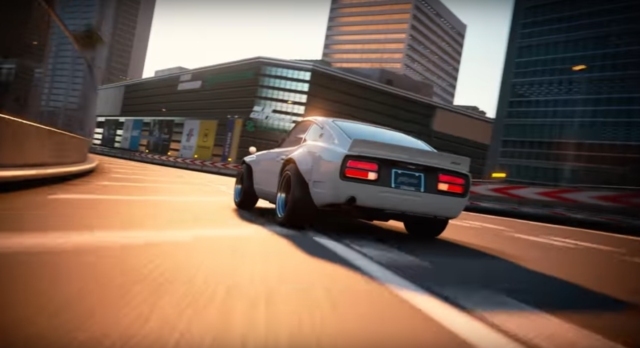 The RB26-powered car won the Gran Turismo award at SEMA three years ago, and per tradition the car gets rendered into the game. However, we think the real jackpot is the addition of the Tokyo Expressway South course. Now you can hit the bayside like a hashiriya and imagine a world where there are no speed cameras. Just look out for Midnight Cinderella. tagged: 240z, datsun, Fugu Z, gran turismo, Gran Turismo Sport, nissan, s30 z. Just need a PS4 now ! Perfect timing now that the semester is almost over! ooooh! Do Daniel Wu’s Tanto 510 next!!! I never understood the hype over this car. Not that I think it’s bad, but the ongoing media attention makes no sense to me. There’s a lot of very good 240z builds out there. To be fair, the Gran Turismo series is just fulfilling a commitment it made several years ago when Fugu Z actually won its award. I’ve not really heard much about the car since its initial publicity tour until it appeared in the game.